Restoring and segmenting images corrupted by Rician noise are now challenging issues in the field of medical image processing. Our previously proposed restoration model, which is based on the statistical property of Rician noise, was proven efficient only when the standard variation of Rician noise in the image is greater than a certain positive number. The present paper further theoretically proves that this certain positive number can be replaced by zero, i.e., the standard variation of Rician noise can be any positive value. This broadens its application range. In addition, the data-fidelity term in the proposed restoration model can be applied into the famous two-stage segmentation method for segmenting images corrupted by Rician noise. In the first stage, a new variant of modified Mumford–Shah model is established with whose data-fidelity term is designed to manipulate Rician noise in the image. 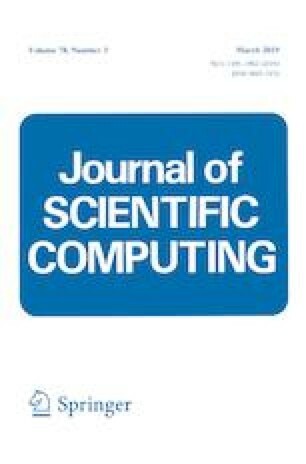 The strict convexity holds for this optimization model and linearized primal-dual algorithm with theoretical convergence analysis can be implemented for achieving the global optimal solution. For the second stage, partition on the optimal smooth cartoon image is done simply by thresholding. Such two-stage segmentation method is apparently more suitable for image with Rician noise compared to other state-of-art algorithms. Numerical experiments are conducted on both synthetic and real images. The results suggest that the proposed method is more favorable for image segmentation task with Rician noise. We thank the reviewers and editor for providing very useful comments and suggestions. T. Zeng is supported in part by National Science Foundation of China No. 11671002, CUHK start-up and CUHK DAG 4053296. Funding was provided by Research Grants Council, University Grants Committee (Grant No. 12302714). for any \(t\ge 0\), i.e, \(h(t)\ge 0\). So when \(t>4.3\), \(0\le h(t)<1\).